Today T-Mobile nailed down a launch date and pricing for the LG Optimus L9, a device they announced earlier this month. You'll be able to snag the L9 for $79.99 on a two-year contract and $50 mail-in rebate starting October 31. You can also get it for $49.99 with their equipment installment plan with 20 equal payments of $15/month. Its most notable feature is an optical character recognition app, but the specs are pretty respectable for a mid-range device. 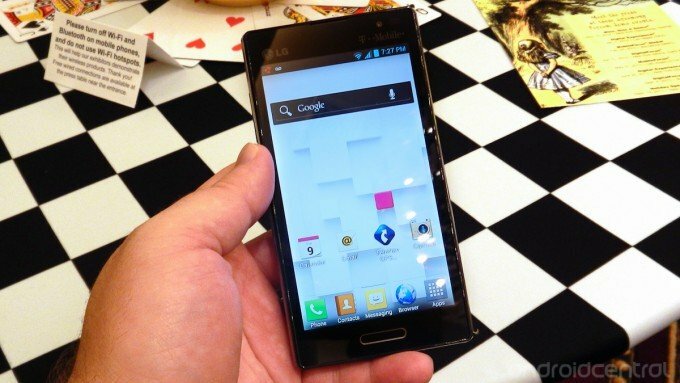 Be sure to check out our hands-on video with the LG Optimus L9 for a closer look. Any T-Mobile customers biting on this one, or are you more interested in something higher end? Anybody that's interested can find the LG Optimus L9 in T-Mobile's online store.